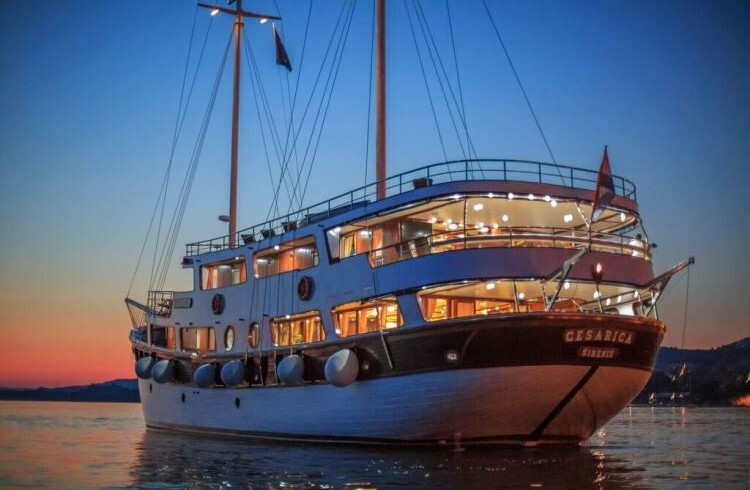 Cesarica is a motor sailer, 41 meters long, and constructed all in wood as a traditional yacht. 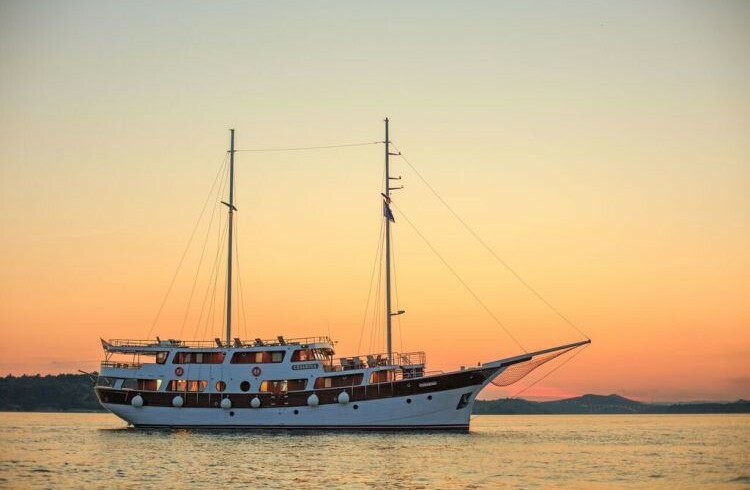 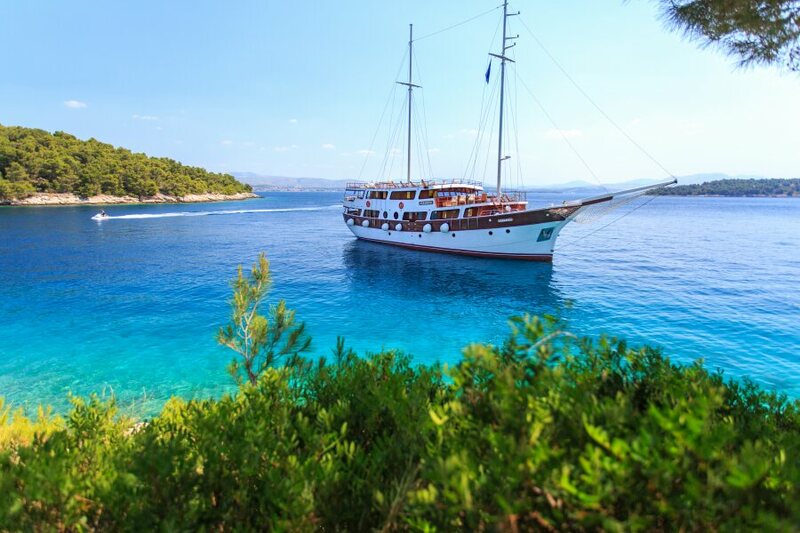 Cesarica is available for motor sailer and gulet rent in Croatia with globeyachtcharter.com! 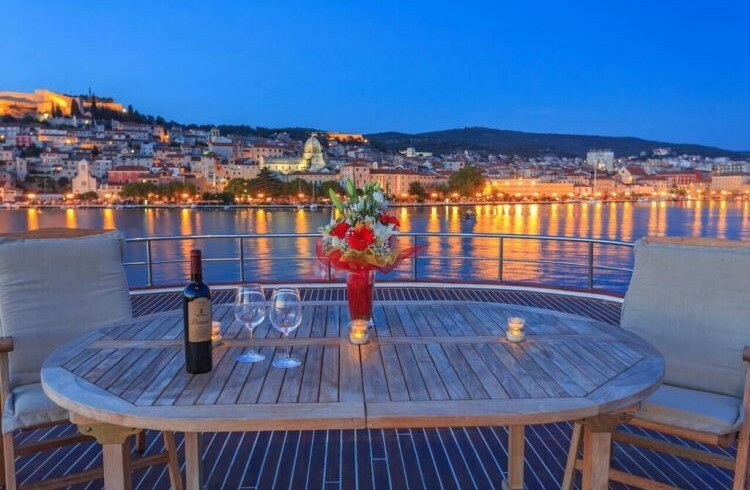 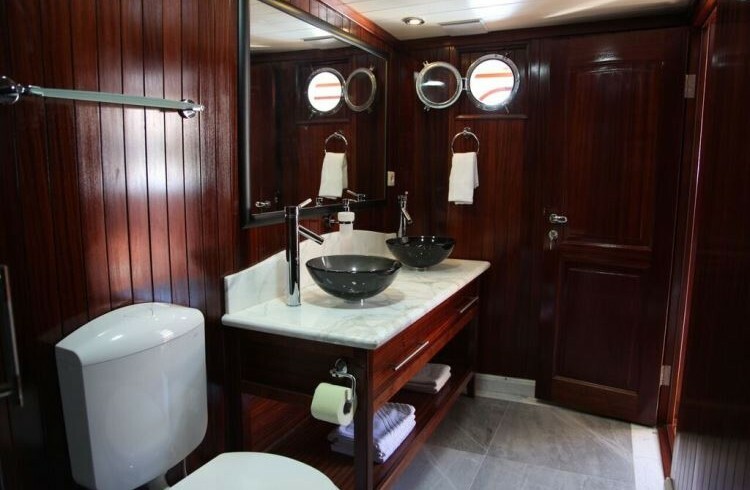 This Split based motor yacht, is a perfect one week rental, if you enjoy a relaxing holiday in the sun (and who doesn’t). 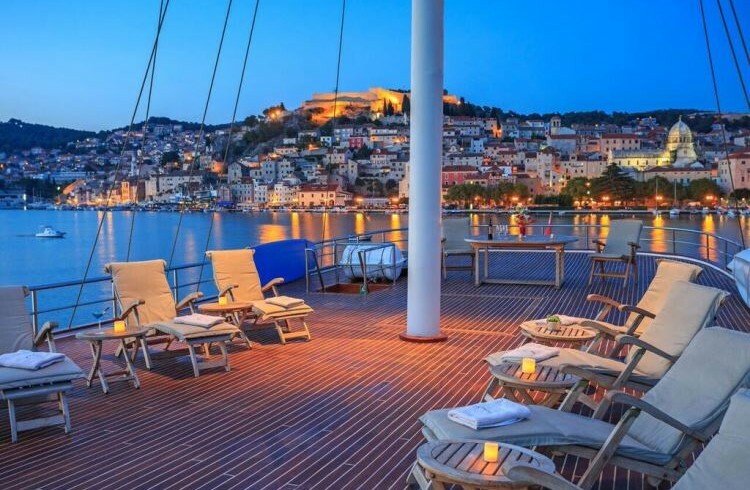 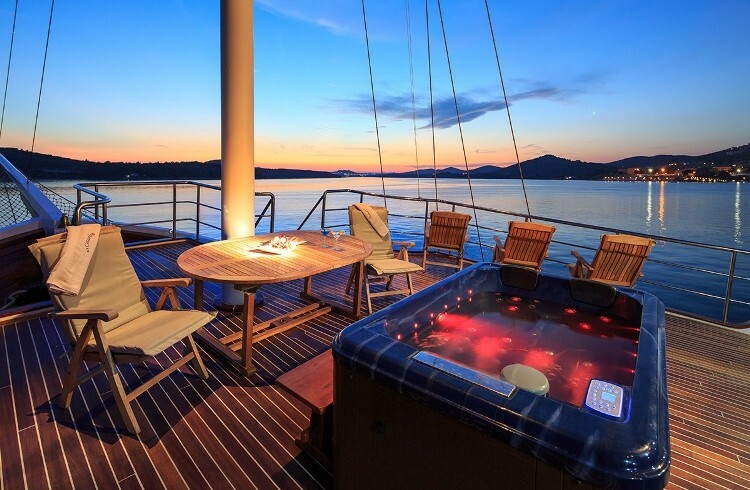 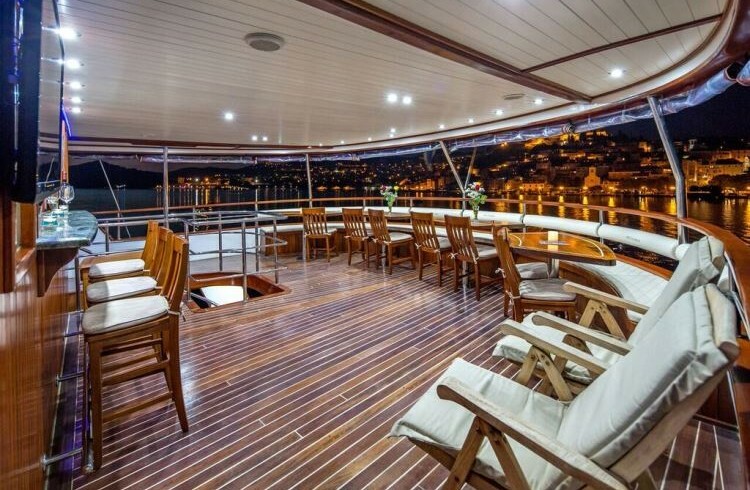 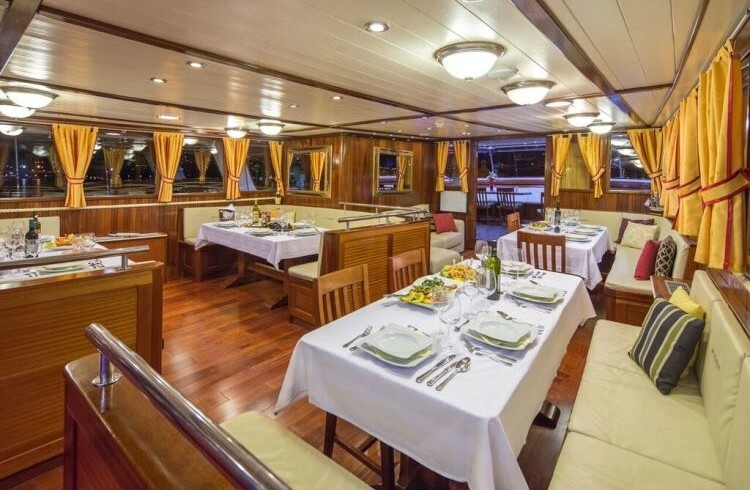 Cesarica has three decks, all spacious and layered with beautiful wood. 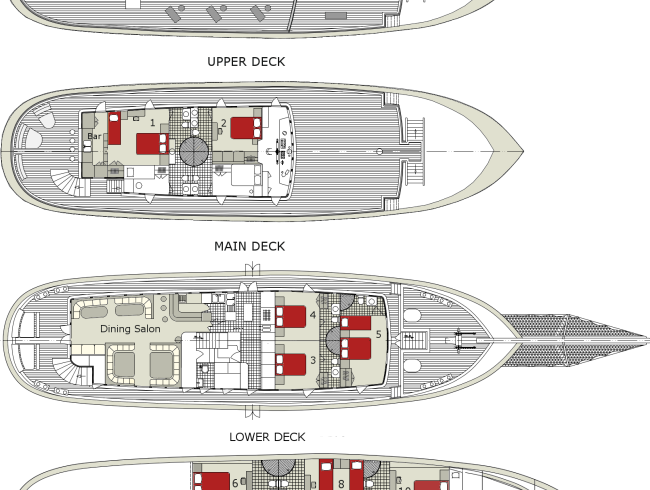 It comfortably accommodates 24 passengers in 11 cabins. 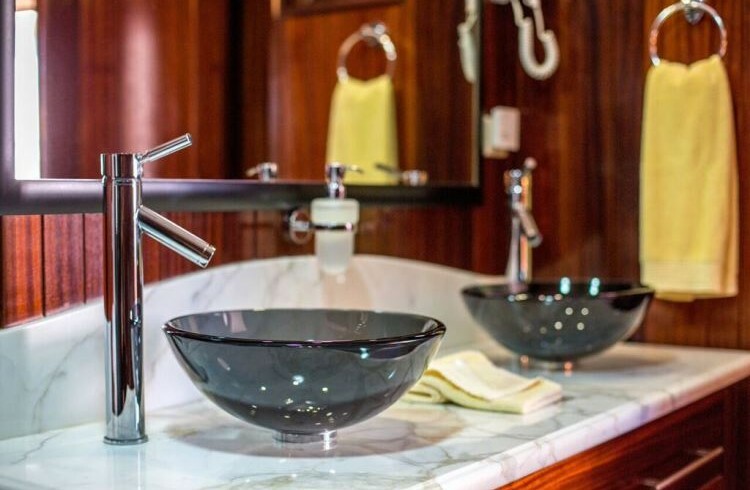 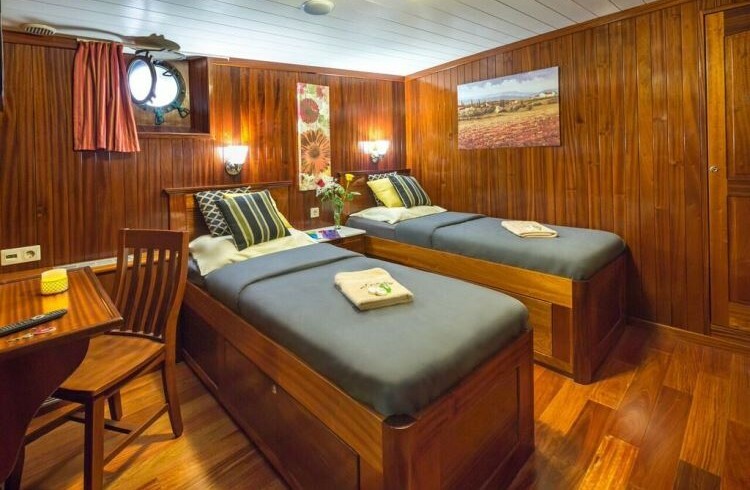 Each cabin is air conditioned and perfectly equipped to make your stay a perfect one, with a private bathroom, and wonderful mahogany walls! 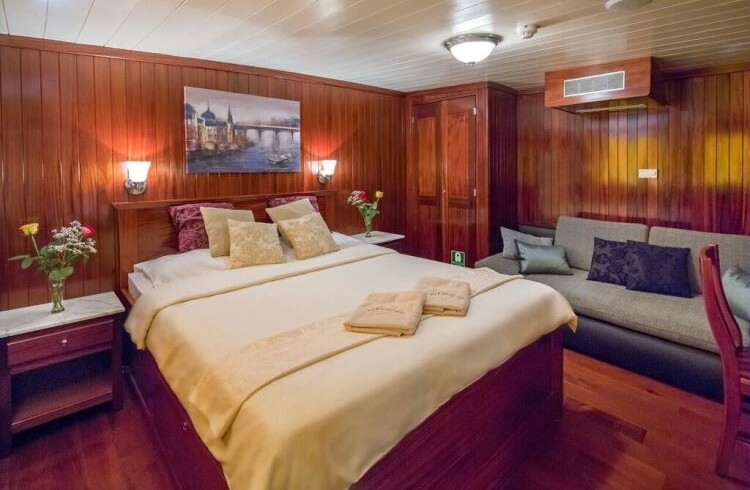 Two of the 11 are VIP cabins with a queen bed, and an additional single bed. 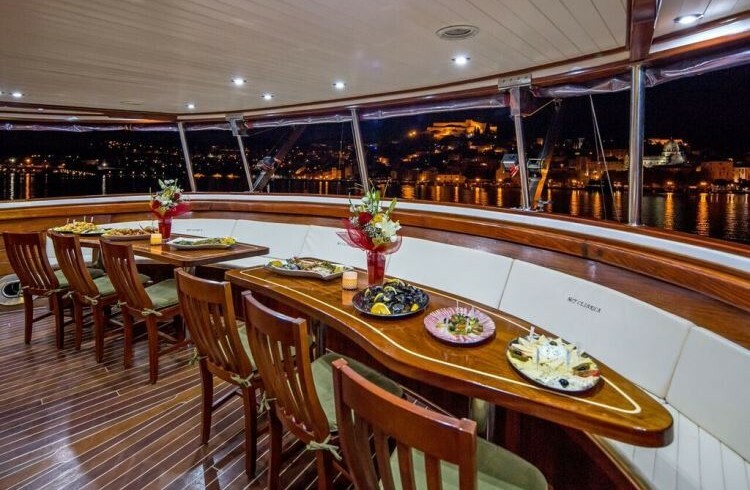 The food is prepared aboard, with half or full board options, depending on how many meals you’d like to have aboard the yacht. 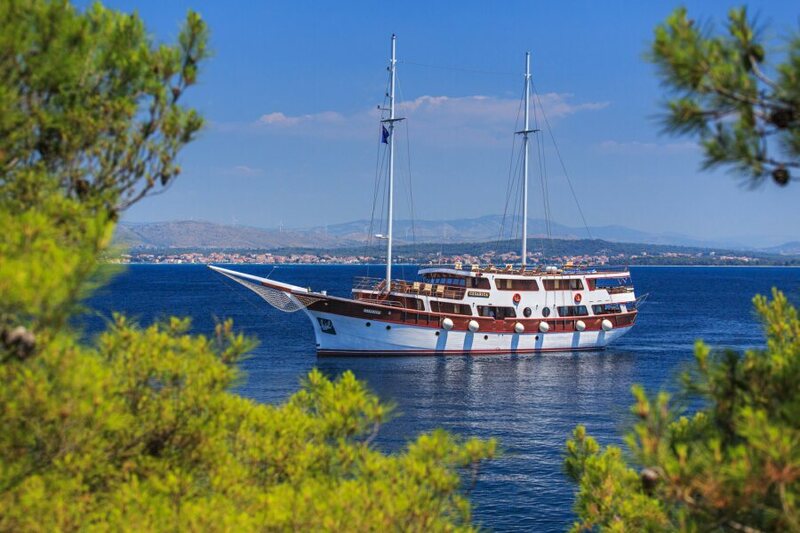 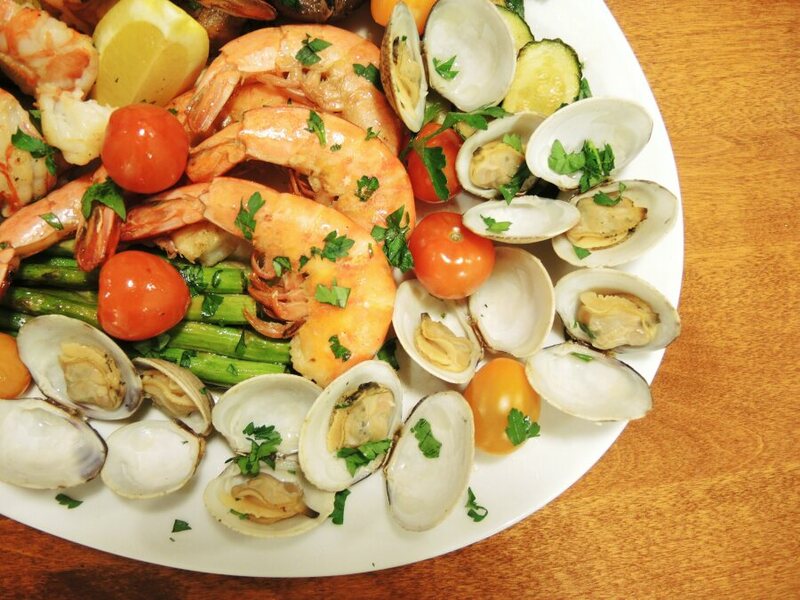 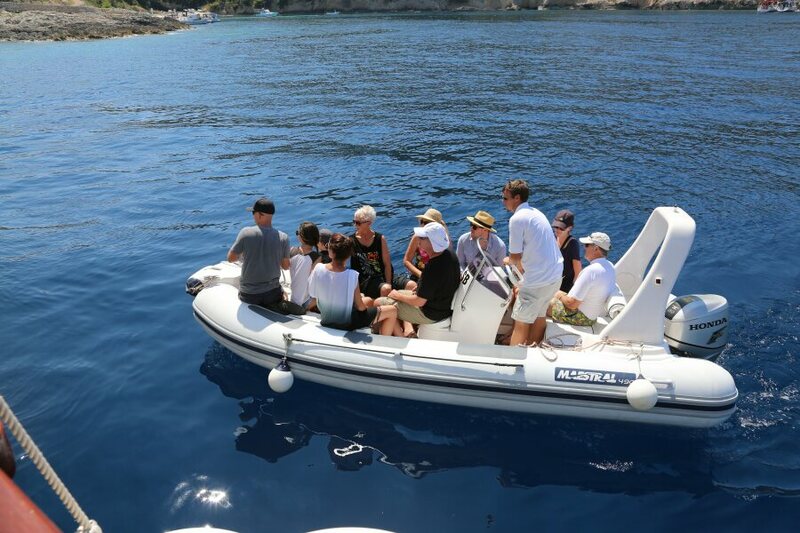 Cesarica’s crew prepares the best authentic Dalmatian dishes, so you can taste the beauty of Croatia! 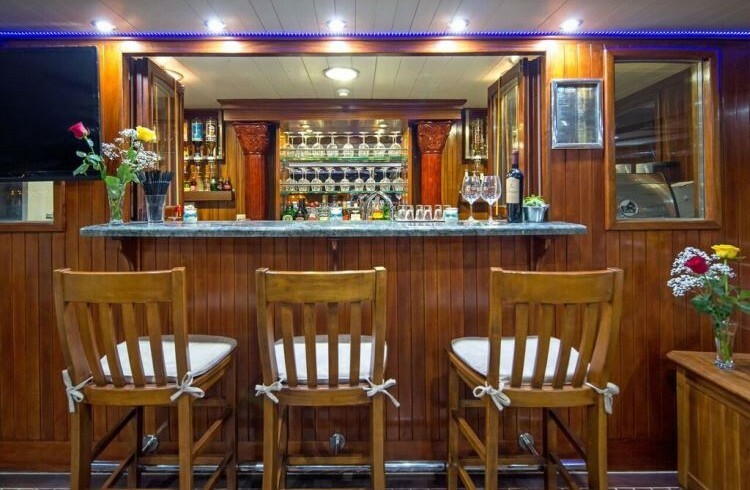 Boat rental, 8 crew members, insurance, bed linen , towels , towels changed every second day, welcome cocktail, fuel for 4 hours sailing per day, the use of all equipment on board , jacuzzi on the deck, using the dinghy for transfers to / from port , kayak , paddle surfing, snorkeling equipment, inflatable rafts. 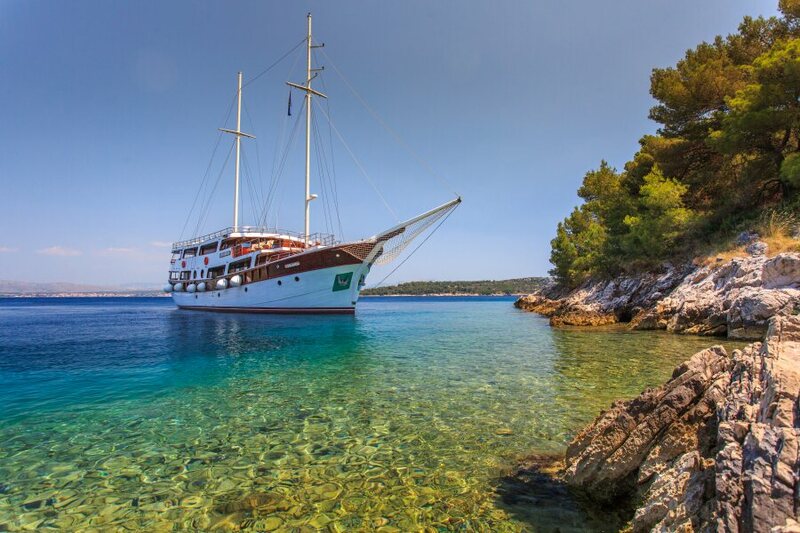 Food and beverage, additional meals, drinks( you are not allowed to bring drinks on board is mandatory consume drinks from the bar of the schooner ), fuel for more than 4 hours sailing per day, each extra hour is charged at € 90, fuel for more than 4-6 hours of air conditioning per day, each extra hour will be charged separately, ersonal insurance for passengers, mbark and disembark out of the base port, entrance fees to national parks, tips, transfer, water sports that require the use of the dinghy, Croatian Tourist Tax, ost of the one way, port taxes, Extra Using the dinghy.